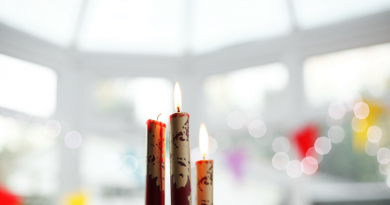 Early last year – in March as far as I remember – I published an online survey asking which questions were the most prominent ones among my readers. 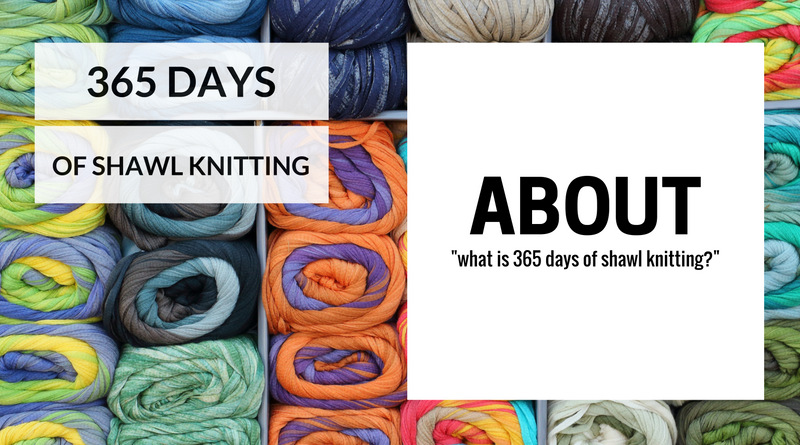 Originally, I planned to publish an article summarizing the most common questions but the sheer number of questions asked made me rethink and start writing what you are reading now: 365 Days of Shawl Knitting. 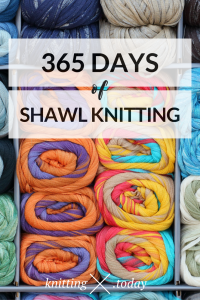 365 Days of Shawl Knitting, What’s That? Over the next 365 days – the whole year of 2017, to be precise – I’m going to answer one of my readers’ questions about shawl knitting. Some answers will be short and only require a few sentences, others need so much explanation and images and schematics it’s better to make a video instead. So you can expect a broad variety of media, questions, subjects and hopefully all our questions about shawl knitting will be answered! Every day starting tomorrow in January 2nd 2017, another article will be up and linked here in this post. The most frequently asked questions were about maths, calculations, blocking and how to alter size and shape of shawls. 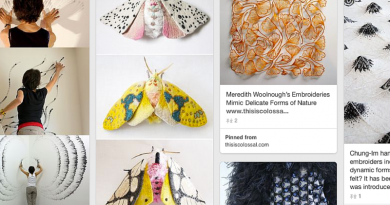 “How to figure stitch counts for different shawl shapes and modified versions of the shapes?” and “How to insert stitch patterns into different shapes of shawls?” are prominent examples and keep appearing in more or less similar words. Another cluster are questions around how to start a shawl and especially how to knit garter stitch bands and related techniques. Binding off, casting on and how to knit borders and edgings came up a lot, too. We will talk about adjustable shawls and how to alter shape and size as well as how to create and adjust stitch patterns. Actually, that’s what we are going to start with: Charts! Knitting Basics: What is Knitting Gauge? Increases and Decreases – When to Use Which One? Thank you for all the beautiful things . I am fond of knitting . I have some new ideas from your website . I hope everything is OK with you and your family. Miss your articles shawl design. Standing by (well, not really, but periodically checking, for sure), eagerly awaiting further education in shawl design from wickedly clever you! Hope all is well, and you aren’t buried under a snowbank somewhere. Have you seen Embroidered Nature 2017 Wall Calendar Calendar by Meredith Woolnough (Author)? It might also provide inspiration. No, not yet. Thanks for the suggestion! Hope all getting better…creativity takes energy, and as much as you have created a great following due to this gift, pls know, I am sure, All of us out here want you to put all that great creativity back into your own care and healing for now! You come first and we all wish you a return to safe healthy relaxed times!